All philosophy is a footnote to Plato. No other person so shaped the Western world and the way we think about it. What kind of society should we build? 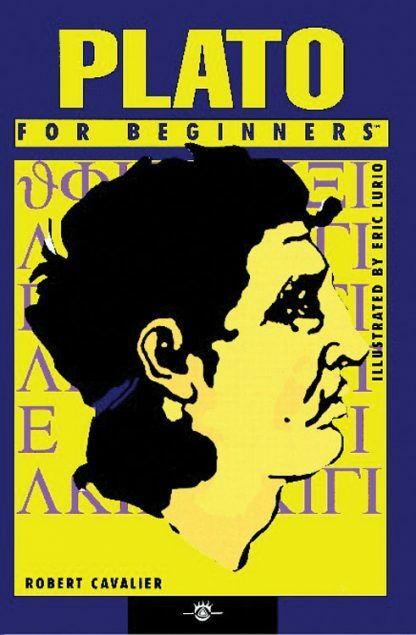 Plato For Beginners introduces the reader to Socrates, Plato�s mentor whose martyrdom led Plato to formulate a new system of knowledge based on reason. Socrates was found guilty and sentenced to death for refusing to recognize the gods of the State and for introducing other divinities. He was also found guilty of corrupting youth. also covers the history of Greece as well as the life and ideas of this great philosopher and his influence over time, from early Christianity to the 20th Century. The reader learns what he meant by Truth, Beauty, and the Good. Classical dialogues such as Symposium, Phaedo, The Apology, and The Republic are all explored in the context of his time and our own. Robert Cavalier received his BA from New York University and a Ph.D. in Philosophy from Duquesne University. In 1987 he joined the staff at Carnegie Mellon's Center for Design of Educational Computing, where he became Executive Director in 1991. Dr. Cavalier was Director of CMU's Center for the Advancement of Applied Ethics and Political Philosophy from 2005-2007. He is currently co-Director of Southwestern Pennsylvania Program for Deliberative Democracy.